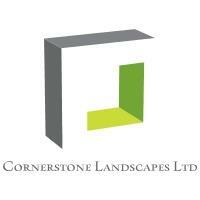 Cornerstone Landscapes Ltd - Driveways/Patios/Paths, Fencing/Gates based in Reigate, Surrey. New to Checkatrade but with over 20 years industry experience in the design, sourcing and construction of numerous commercial and domestic projects. This locally established family business is now Surrey Trading Standards approved and is rapidly expanding within the domestic sector. Transforming a garden near you! We will not be beaten on price! (price match available with written proof of 3rd party quotation). Specialising in all your exterior needs from Drives and Patios to Fencing, Ponds and Decking and complimented with a full Planting portfolio from small shrubs to Large deciduous Trees. Let our team of experts effortlessly guide you through the process of designing, sourcing and constructing your space. With a full works programme policy and transparent costings, you can rest assured your project will be completed on time and to budget. Take a look through our Gallery to see a small example of recently completed projects and what we are up to presently. Remember we will not be beaten on price, discounts apply to OAPs and Registered Charities. Please do not hesitate to give one of the team a call today to arrange a free site consultation and quotation.